Did you know that the HTTP protocol is now 26 years old? That’s right, born back in 1991, HTTP is a main component in the mechanism of the Internet, responsible for the data transfer on the Web. The latest HTTP/2 version was launched in 2015, bringing a number of advantages that improve the online experience of both website owners, and the website’s visitors. 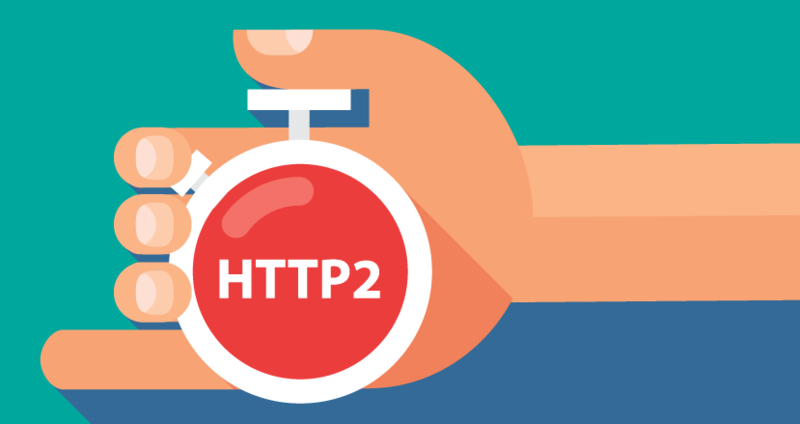 You can read more on the advantages and characteristics of the new protocol in our blog article Even Faster Web with HTTP/2. As we mentioned, the HTTP/2 protocol is responsible for the data transfer between web browser and server without an intermediary. It is possible, however, to have a browser-server connection that goes through an HTTP/2, and yet, the website may not be taking full advantage of the protocol. We’ve seen cases where a connection between a browser and a web server goes through a Proxy server. This is a software which accepts the HTTP requests and transfers them to the web server to process them. After that, the web server returns the result to the Proxy server, which in turn returns it to the browser. Usually, in such cases the actual web server does not support HTTP/2 and that is the reason why a Proxy is used, for support. That way, an illusion is created that an HTTP/2 is supported. 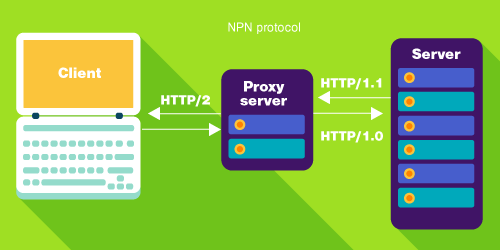 With such configuration the Client, that is, the web browser, communicates with the Proxy server via HTTP/2, but the Proxy server in turn sends data to the actual web Server via HTTP/1.0 or HTTP/1.1. That cancels out all the advantages that an HTTP/2 protocol has for a direct web server support. Here’s how the communication would look like if HTTP/2 is supported on the web server. In such communication, the Client and the web Server “talk” to each other without an intermediary and the data is transferred both ways via the newer protocol version. That way the communication is much faster and secure. 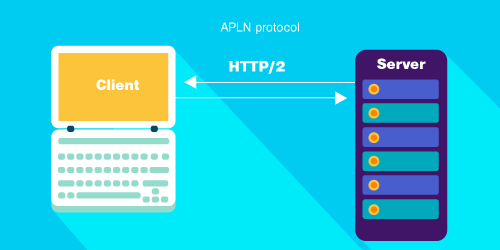 A necessary condition in order to feel the actual benefits of the HTTP/2 is to have an ALPN protocol (a TLS mechanism for negotiating the protocol used). Its old version – NPN – is no longer supported by Firefox and Chrome. The server has to support the ALPN protocol, otherwise the HTTP/2 won’t work. IMPORTANT: All SuperHosting.BG hosting plans support and use actual HTTP/2 implementation, with ALPN support directly from the web server. Thus, without delays and intermediaries between the visitors and the web server, each page of your web site will load much faster. In order for the visitors to be able to connect to your web site via an HTTP/2, the site must have an SSL certificate installed. That’s because the implementation of an HTTP/2 into the web browsers (Firefox, Chrome, Safari, Opera, IE, Edge) is done in a way that only allows HTTP/2 to be used if the connection is secure. You may install the free Let's Encrypt certificate from cPanel in your hosting account. In Chrome click on Inspect for a random element from a given web site, then go to the Network tab and see the Protocol section. If it is not currently visible, right-click on the title of any of the other elements and turn on the Protocol visualization. Enter a domain for which you’d like to know if it loads via an HTTP/2, in the following URL: https://tools.keycdn.com/http2-test. This online tool will not only show you whether the HTTP/2 is supported, but also if an ALPN is available. In Chrome, install the HTTP/2 and SPDY indicator add-on. On the right side of the input bar a small flash icon will appear, which indicates whether or not the website loads by HTTP/2. Our SuperClients are already taking advantage of the benefits of actual HTTP/2 implementation for their hosting plans. Their web sites are now faster and more secure and our improvements in this area will not stop here. Stay tuned for more super innovations and surprises we have prepared for you. We can’t wait to share them with you! 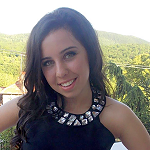 What is an Intelligent SPAM Protection?